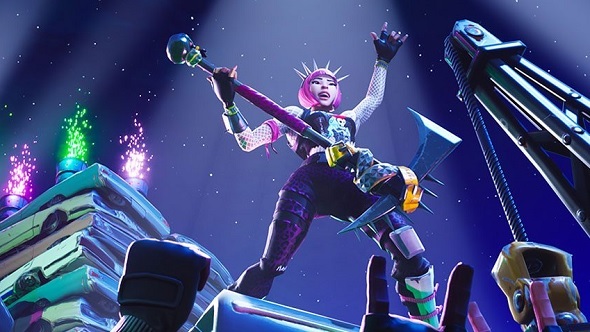 Even the massive corporations that populate the S&P 500 index can’t stop talking about Fortnite. The battle royale phenomenon was mentioned more often than that other topical corporate obsession, cryptocurrenices, according to a recent analysis of earnings calls over the last quarter. Justify all the business chatter by finding the best battle royale game for you. When MarketWatch included “PlayerUnknown’s Battlegrounds” and “battle royale” in their analysis, the mentions jumped to 95. Corporate America is practically obsessed. Predictably, most of the questions came in earnings calls with gaming-related organisations, such as Activision-Blizzard, EA, Take-Two, Tencent, and Amazon, which owns Twitch. Nvidia, whose business straddles both gaming and cryptocurrency mining (much to the dismay of anyone who was hoping to upgrade this year, cheers), perhaps offers a way to more directly compare the importance of the two subjects. In its latest transcript, Fortnite, PUBG, and battle royale are collectively mentioned 13 times, while cryptocurrency is mentioned only four times, and bitcoin not even once. You can read MarketWatch’s report in full here. It states that EA and Take-Two both think that Fortnite is a good thing for the games industry at large, as it attracts new customers to the market who might not have been interested in gaming before now. Interestingly, toy maker Hasbro’s CEO was asked about Fortnite, but says that while the company “really like Fortnite,” they “haven’t really seen an impact with respect to that game.” No Fortnite action figures coming any time soon, then.